We are excited to share that Ryan Collier, our Senior Portfolio Manager and director of investments, was recently selected by The Wall Street Journal to collaborate on the February 3rd article titled "Adviser Sees a Mediocre Year for Bonds", in the Journal Report section. In the article, Ryan shares our team’s thoughts regarding the bond environment for 2014, saying investors should "prepare for another year of mediocre returns in bonds." He elaborates on Bedel's strategy to protect clients from sharp declines in the bond market with the use of flexible bond funds. 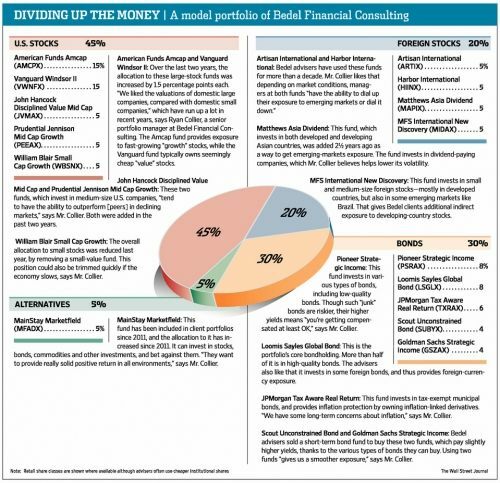 The article also illustrates one of Bedel Financial's model portfolios.